Contemporary design lovers take note: this beautiful rug is the finishing touch to modernise your home. 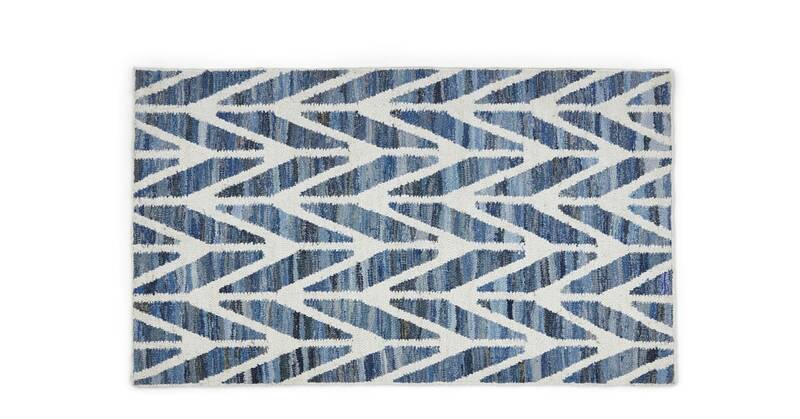 It’s eye-catching chevron pattern comprises recycled denim. Those skilled artisans in India crafted each rug by hand, so each one has a very slight variation in pattern. It’s one of the things that makes this collection so special. The mix of cotton and Indian wool feels super soft under foot. An under-rug grip will ensure it stays neatly in place on wooden floors.